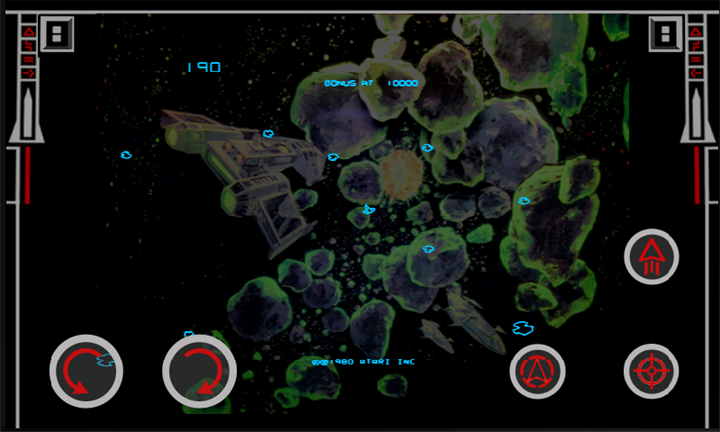 Enjoying my arcade classics on the go! I am probably one of the last supporters or blogger that still blogs about Microsoft’s failed Game Room experiment. I would still partake in it from time to time as there are still some pretty cool games that I like within the Xbox 360 application. Microsoft has even ramped up the difficulty more by removing easy access to the Game Room itself. You really have to seek it out if you want to partake in that classic arcade venue. Fortunately not all is lost. When I recently acquired my Windows Phone 7, I also gained access to its games, several of which are married to the stats with the Xbox Game Room itself! 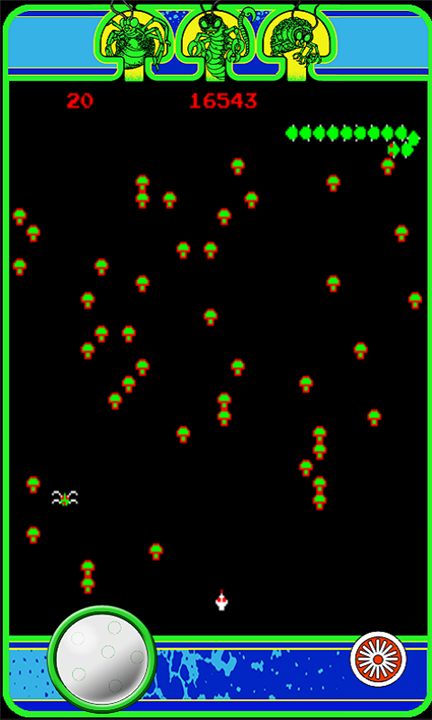 One of the WP7 Game Room games is Asteroids Deluxe, which is probably my favourite and most-played game from this service. When I purchased it I earned 3 WP7 Xbox LIVE achievements just based on my pre-history with the game. Now while playing with touch controls and on such a small screen can be a challenge all by itself, it actually stays fairly true to the original and translates well to the medium. I enjoyed this initial experience so much I had to try for more. Hungry for more I purchased Centipede. I believe this is the first version of Centipede that I have ever owned. The simulated track-ball control works surprisingly well on the touch screen. I enjoyed my experience so much that I wanted to transfer it to the big screen so I went into the Game Room app on the 360 and purchased the game there as well. This way I could have a two-pronged attack to earn the achievements and medals for each platform. In fact I was able to secure a couple more 360 Game Room achievements bringing my console Game Room Gamerscore total to 700 out of 1,000! While there has not been a huge WP7 Game Room push that I have seen so far with only four titles on the service, I am hoping for more so I can perhaps fulfill my quest of earning the elusive 1,000 Gamerscore for Game Room. Most of all I guess I am most excited that I have a new excuse to continue within the Game Room. Now it is time to put some quarters up! This entry was posted in Game Room, Retro, WP7. Bookmark the permalink.